(represented by the Implementation Unit of the Austrian Embassy in Belgrade for EU financed projects Socioeconomic Development of the Danube Serbia Region Deadline for submission of proposals: 28 February 2013. 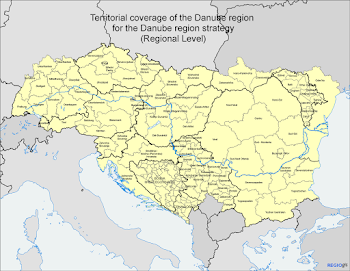 The EU Strategy for the Danube Region (EUSDR) is a macro-regional strategy adopted by the European Commission in December 2010. The Strategy was jointly developed by the Commission, together with the Danube Region countries1 and stakeholders, in order to address common challenges together. The Strategy seeks to create synergies and coordination between existing policies and initiatives taking place across the Danube Region. It consists of eleven development priorities organised under four cooperation pillars (Connecting the Region, Protecting the Environment, Building Prosperity and Strengthening the Region). The Strategy proposes an Action Plan on the basis of which participating countries suggest, develop, implement and coordinate actions and projects that contribute to the eleven strategic priorities. More information about the EUSDR can be found on http://www.danube-region.eu.